“Anxiety’s Kiss” is the latest album from Coliseum, recorded at The Magpie Cage by producer/engineer J. Robbins (Jawbox, Burning Airlines). 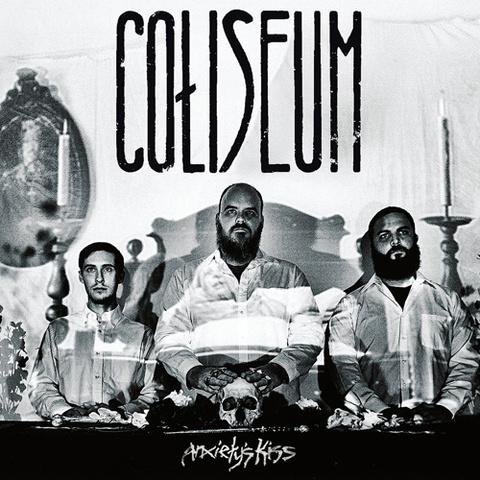 “Anxiety’s Kiss” is a hook-laden maturation of the Coliseum sound. Nods to their early D-Beat leanings are there, but it is their willingness to embrace Post-Punk melody and explore the space between notes that make “Anxiety’s Kiss” so alluring. Confidently growing within the punk world, without ever leaving it behind.